If only every meal could be as delicious as breakfast – especially when your breakfast is this festive Chocolate, Cinnamon + Raisin Chia Pudding. It’s a super quick, super easy recipe that’s bursting with energy and goodness. If you find yourself with little time in the morning, try creating the night before, pop it in the fridge and it’ll be ready in the morning. We made ours using almond mylk, but oat, cashew, or coconut mylk are all fine and will give a nice creamy texture. This breakfast bowl can be topped off with any of your favourite ingredients. 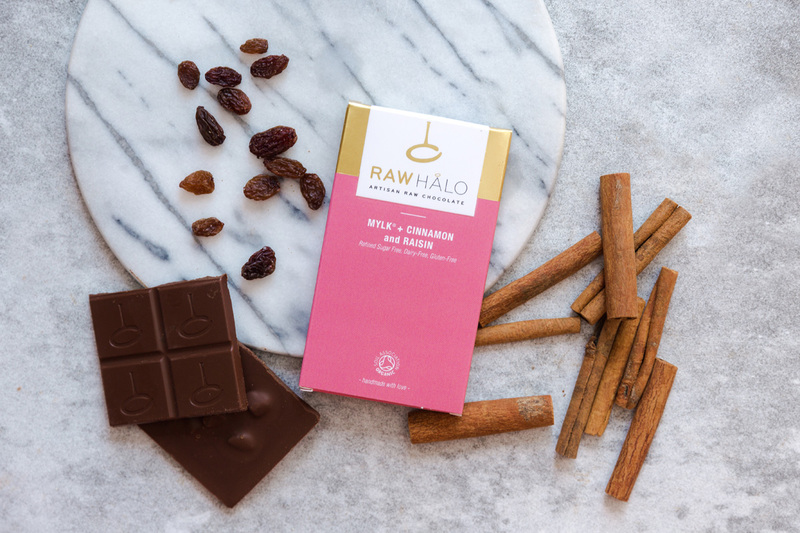 For us, a few squares of our Mylk + Cinnamon and Raisin chocolate is the perfect addition, which then leaves the rest of the bar for your mid morning snack – Yum! Recipe and feature photograph by Nourishing Amy. Head over to her blog for more delicious inspiration. Mix the chia pudding dry ingredients in a small jar and add the mylk. Stir well to make sure all the cacao powder mixes in (it tends to sit on top, so keep stirring). Cover or seal and leave to thicken in the fridge overnight or for at least four hours. After 10 minutes, give the jar another good stir. 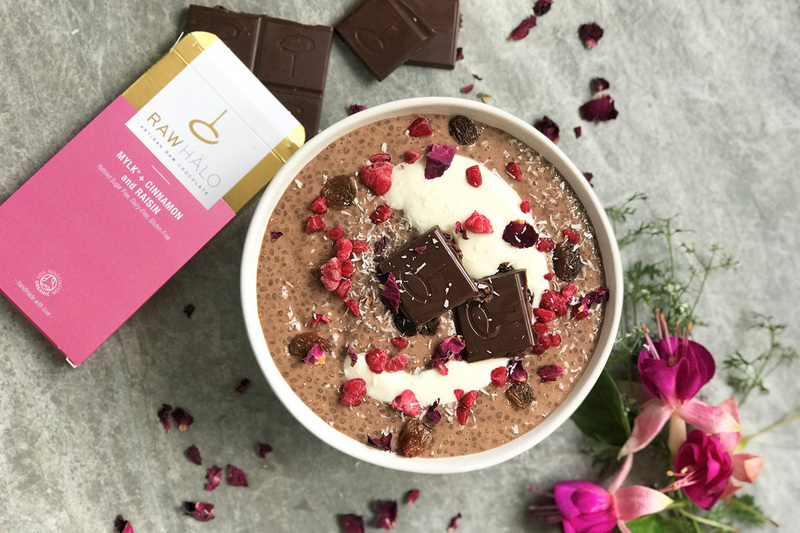 To serve, add a splash more mylk if it is too thick and then pour into a bowl and top with a few squares of Mylk Cinnamon and Raisin chocolate, plus your favourite toppings, or eat straight out of the jar.